The city is a mix of colors, smells, and sounds, a collection of infinite small micro-sites and locations that can never be experienced simultaneously. That is, you can never experience all aspects of a city at once. Each instant, moment, and point of a city is a combination of countless stories and situations, of people working and living in their own separate lives. 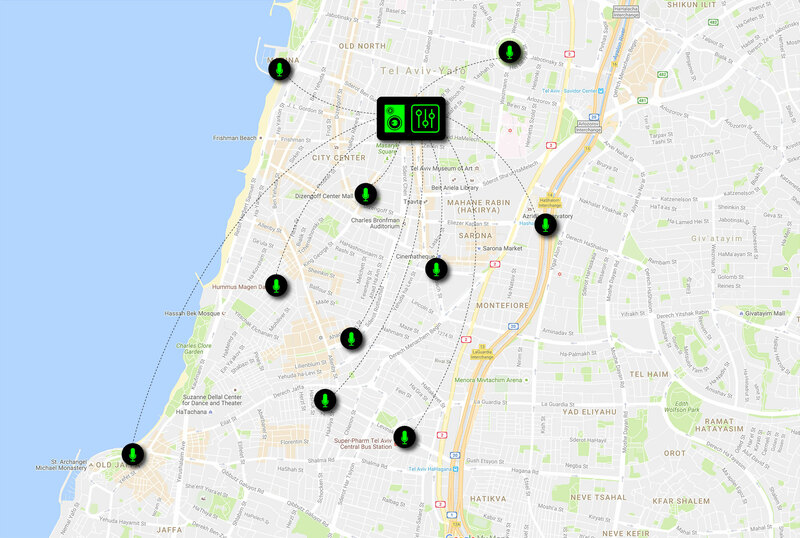 In this project i wanted to celebrate the city of Tel Aviv, where I live. Tel Aviv is colorful and unique and full of different interacting nationalities, a city of contrasts: old and modern, traditional and progressive. I wanted to capture and bring all these ingredients into one place, where people can interact and create. The city square was a natural choice for that matter, as the central gathering place and common ground for all people of the city. A network of independent microphones is set in random but thoughtful spots around the city, gathering and capturing the sound in that location. I arranged these found city sounds in a loop. The glowing rectangles in the city square are controllers in a large scale MIDI looper set in the square. Together, this installation creates the music of the city, played over a large-scale sound system. 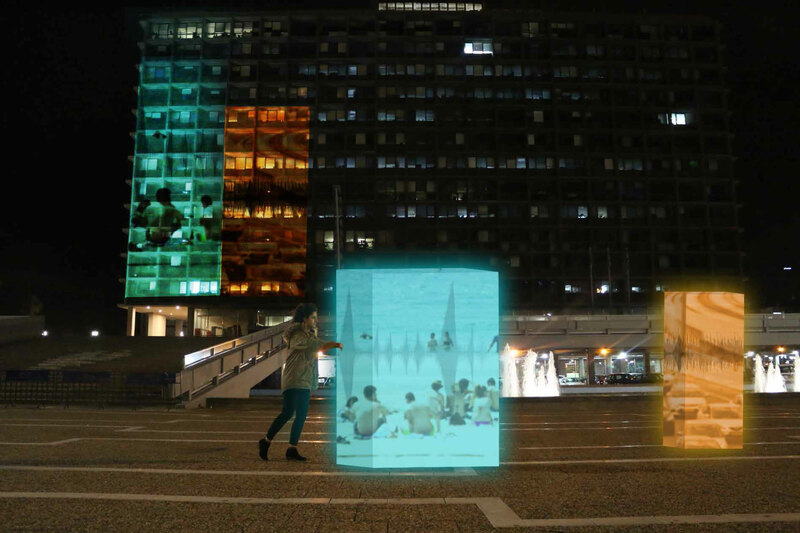 Any random passerby can come and move one of the glowing rectangles; movement changes the loop and then the music. In this way, the city, and the people of the city, create their own music. 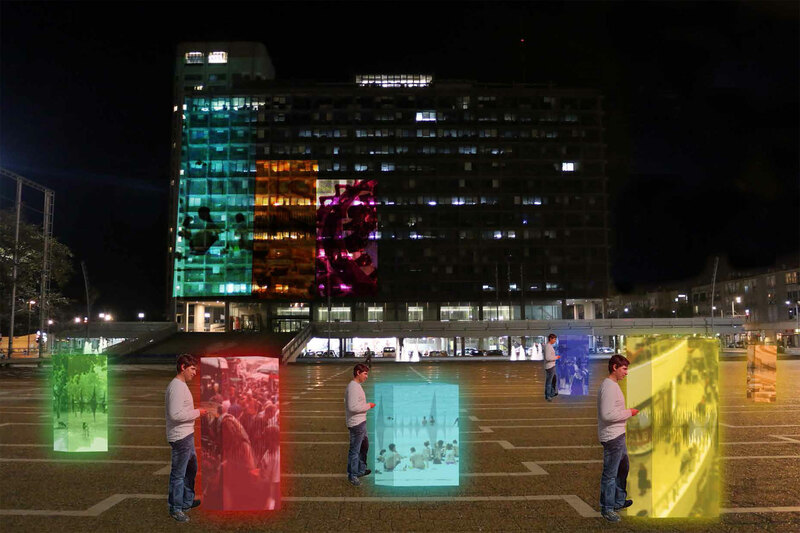 The digital audio interface is projected on the Tel Aviv City Hall building, creating an audio-visual experience.